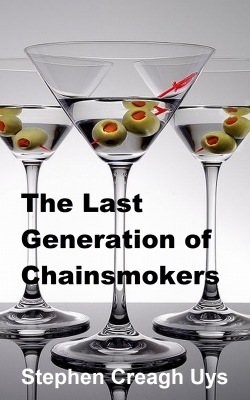 The Last Generation of Chainsmokers is a dark and dazzling novel about doomed love in New York's Lower East Side in the 1990s. When Crane King and Kimberly Anderson first meet in The Village Idiot, it is the middle of the day and both are drunk. The story of their besotted passion in a downward-spiraling world is at once tender — the exquisite pain of mad love — and menacing in its descent toward impending catastrophe. Stephen Creagh Uys draws on shifting, often fragmentary points of view to tell the aching love story of a couple perfectly suited to each other, but not the world. They are Scott and Zelda caught in the cross hairs of a haywire romance with devastating consequences for all around them. Uys takes no prisoners in this taut, harrowing book that moves seamlessly from Madison Avenue to the holding pens of The Tombs. Lives lived minimally loom large on every page, with brilliant, often savage wordplay, from a streetwise and savvy observer of the city that never sleeps. It's that practical sort of love that we all wish we didn't have, but at least on some level can directly relate to. It's Kimberly and Crane, two very damaged souls holding hands in a landslide. This is Hubert Selby for the MTV generation. 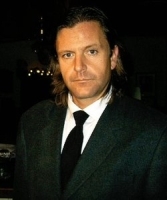 Stephen Creagh Uys is a writer who should be taken seriously.